Eamonn Sullivan says nursing has taught him to be able to tune in to people. 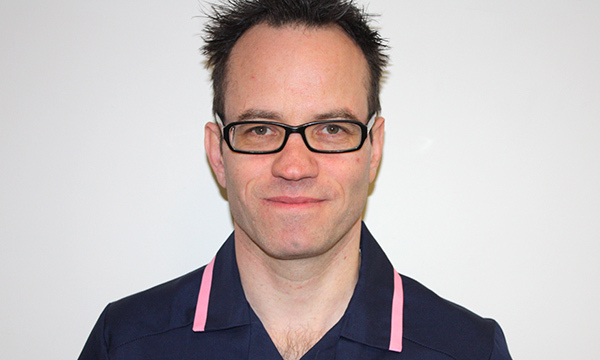 Eamonn Sullivan was appointed chief nurse at the Royal Marsden NHS Foundation Trust in London in January 2017. Prior to this he held deputy chief nurse roles at University College London Hospitals and Guy’s and St Thomas’ NHS Foundation Trust. He trained at Northwick Park Hospital in London and has a background in critical care and a master’s degree in health service development from King’s College London. He served in Iraq and Afghanistan in the Army Medical Services Reserves and is a Florence Nightingale Leadership Scholar. To maintain and enhance the high standards of care at the Royal Marsden and deliver a professional, high-quality, safe service that is also cost-efficient. I applied for the role along with a number of other deputy chief nurses from London and beyond. I have a strong service ethos – we are here to serve our patients first but also our staff. Staff who are listened to and supported to reach their potential are the key to a great patient experience and a safe service. Putting on my uniform and working with our clinical teams and patients is precious to me. From a strategic perspective, my role can impact hundreds of thousands of patients, which I find very exciting. I love working at the Royal Marsden, it’s such a special place. The volume and breadth of the chief nurse role is immense, but it’s also a huge privilege and was always a personal ambition. It saddens me when things don’t go right for patients or staff, but this makes me more determined to listen, learn and do better for those we serve. Keeping our patients and staff safe, listened to and satisfied. I’ve been in the role for a year now and am learning a lot from other experienced nurses and senior clinicians, as well as the chief executive and non-executive directors across the trust. It’s a continuous learning journey. Being in leadership positions in military field hospitals in Iraq and Afghanistan has probably given me the best, and sometimes the worst, times in my career, but I wouldn’t change it for anything. It taught me a lot about resilience and putting things into perspective. From the age of 11 or 12 I only ever wanted to be a nurse. If not a nurse then something else helping people, probably in the emergency services, disaster relief or the military. This is my dream job so it may sound strange, but as soon as I arrived here I started thinking about my exit. To progress in your career, I think it’s important to plan two jobs ahead. My next move would be to a larger acute trust in or outside London, but that’s at least five years away. How to communicate with people at different levels, whether that is at the happiest moments in their lives or the saddest. To be able to tune in to people, and comfort and support them, is a unique skill that transfers from nursing to all areas of life. I would pat myself on the back for always seeking out the best leaders to work with and would tell myself to relax a bit and slow down – enjoy the journey, not just the destination.